Asked whether Foy was paid the same as Smith, the producers acknowledged that he did make more due to his Doctor Who fame, but that they would rectify that for the future. “Going forward, no one gets paid more than the Queen,” said [creative director Suzanne] Mackie. Certainly not a common doctor, even if he is a Time Lord as well. It should also be noted that Foy was nominated for a BAFTA, an Emmy, four SAG awards, and two Golden Globes—one of which she won—for her role as Queen Elizabeth II on The Crown. 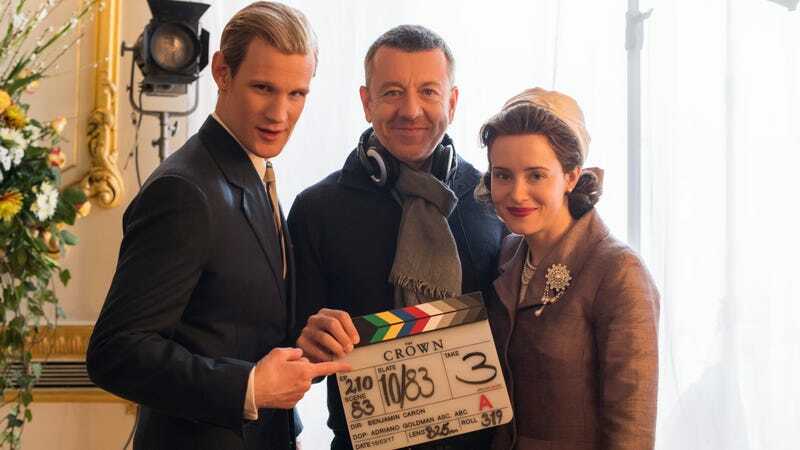 Smith, meanwhile, was nominated for two SAG Awards for Outstanding Performance by an Ensemble in a Drama Series along with the rest of the cast for his role as Prince Philip, meaning Foy was dragging him behind her in real life as well. An older, hopefully at least a little wiser Prince Philip for The Crown season three has yet to be cast—Paul Bettany was in talks for the role in January, but nothing is official yet—but whoever it is, he can expect a nation of fans to turn a skeptical eye towards his paycheck.